Easy to make plush baby teether. 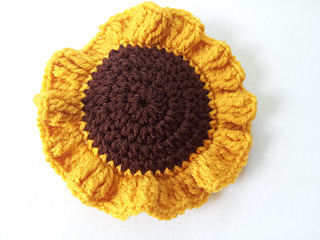 I make these to look like sunflowers but you can use any color. 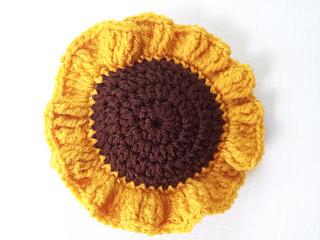 You will need polyfiberfill to stuff the center. It takes very little filling.